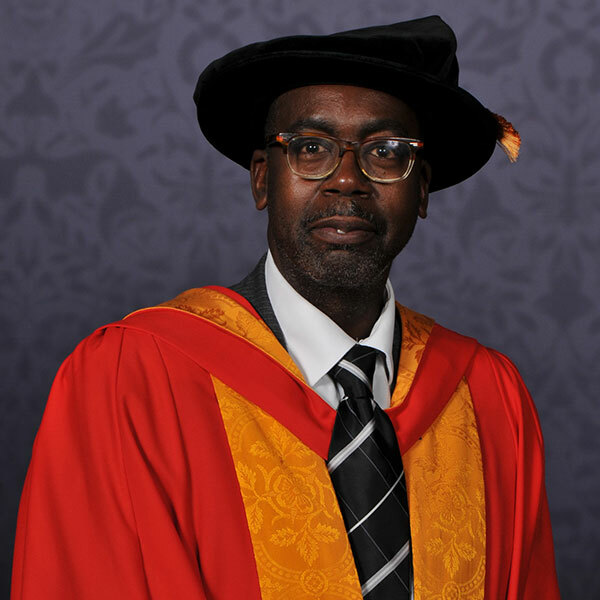 A community activist and Windrush campaigner has been honoured by the University of Wolverhampton. Patrick Vernon has a 25-year track record working in health and care, and led the campaign for Windrush Day and amnesty for the Windrush Generation. The award was presented in recognition of Patrick’s contribution to the voluntary and public sector over a number of years and in particular his historical work around family genealogy and identity of migrant communities particularly African and Caribbean communities. Patrick Vernon OBE was born in Wolverhampton and went to Grove Junior School, Colton Hills and Wulfrun College. He is Patron of ACCI mental health charity based in Wolverhampton. In 2017 he was guest editor for Black History Month magazine and in 2018 led the campaign for Windrush Day and amnesty for the Windrush Generation. He was awarded an OBE in 2012 for his work in tackling health inequalities for ethnic minority communities in Britain. He was the first Director of Black Thrive, a mental health multi agency tackling mental health in Lambeth, former Non-Executive Director of Camden and Islington Mental Health Foundation Trust, Health Partnership Coordinator for National Housing Federation, committee member of Healthwatch England, NHS England Equality Diversity Council, and Director of Brent Health Action Zone. He is a former member of the Labour and the Coalition Government Ministerial Advisory for Mental Health. Patrick was a Former Councillor in Hackney between 2006- 2014. Patrick is also founder of Every Generation Media and 100 Great Black Britons, which develops education programmes, publications and films on cultural heritage and family history. Patrick was made Pioneer of the Nation for Cultural History by the Queen in 2003. He is a leading expert on African and Caribbean genealogy in the UK. He is a Clore and Winston Churchill Fellow, Fellow at Imperial War Museum, and former Associate Fellow for the Department of History of Medicine at Warwick University. Honorary awards are presented by the University of Wolverhampton to people who have made a significant contribution to their field of expertise. The University’s graduation ceremonies take place at the Grand Theatre, Wolverhampton, from Thursday, 13 September to Friday, 21 September 2018.